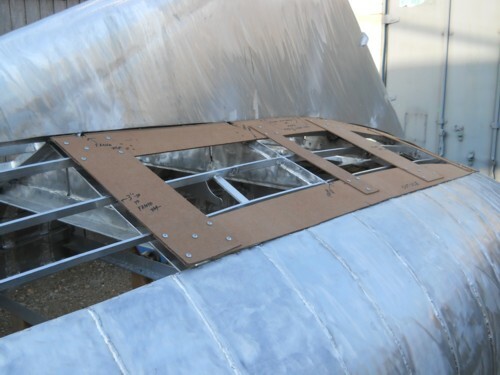 Until now construction of a true round steel or aluminum hull was only for professional builders. 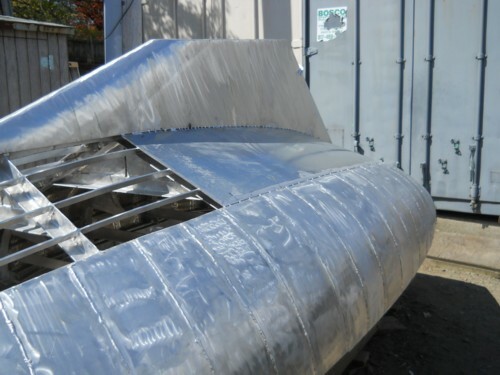 They are known to have the special equipment and secret abilities. 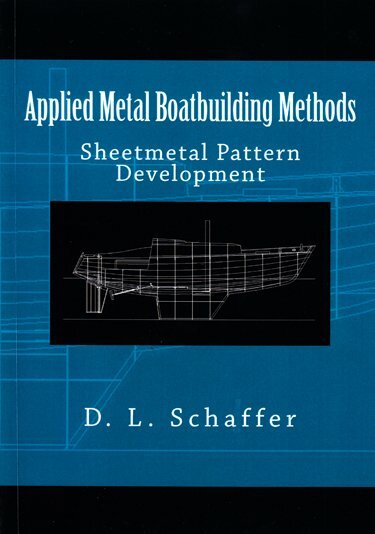 This section shows a condensed illustrated version of the 'Bezier 12.5 hull construction. 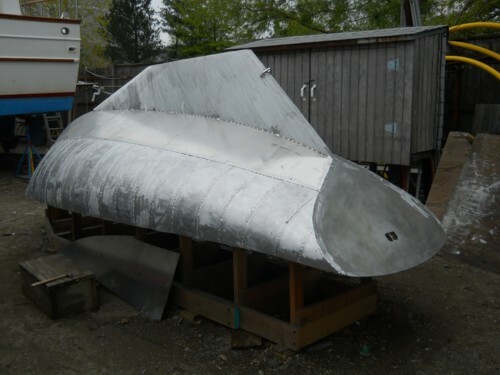 All the parts have been pre-fabricated including the shell plating and building strongback. 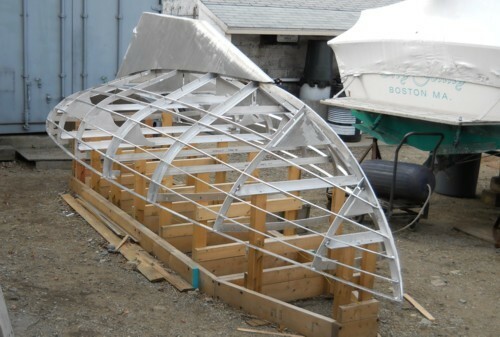 Fabrication of the hulls framework is started by aligning, leveling, and squaring the wooden strongback. 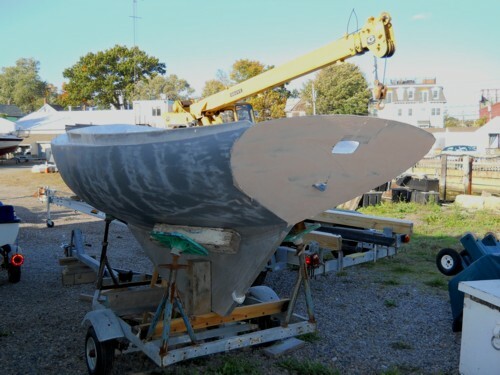 The keel was pre-fabricated separate from the hull on its own strongback and is shown in position on the hulls framework. 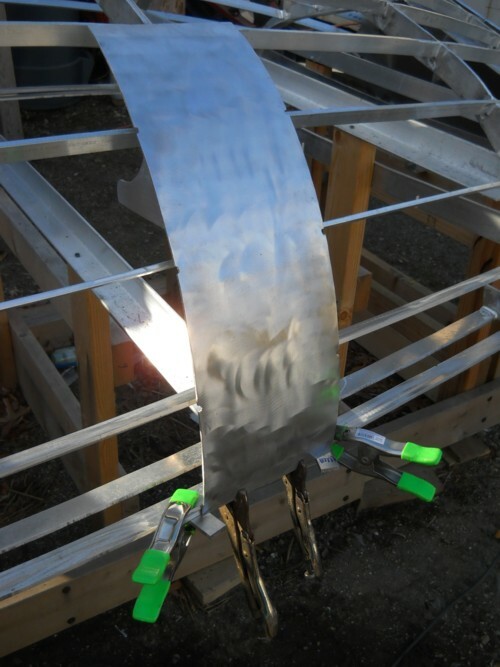 Plating begins with one of the eight (8) plating sections that have been designed to align with a particular transverse frame. 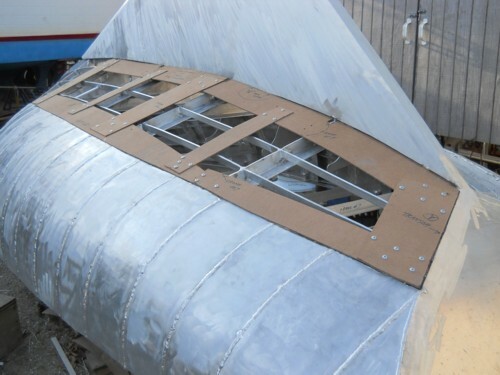 This positions the plate to its correct and exact location along the hull. 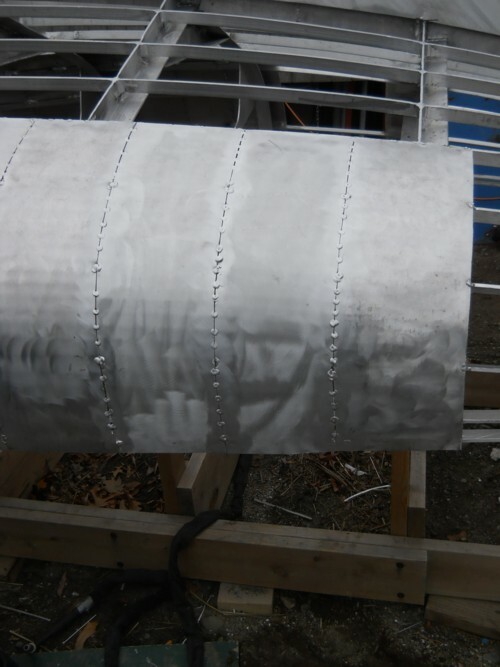 Subsequent plating will be aligned to these initial eight (8) plate sections. 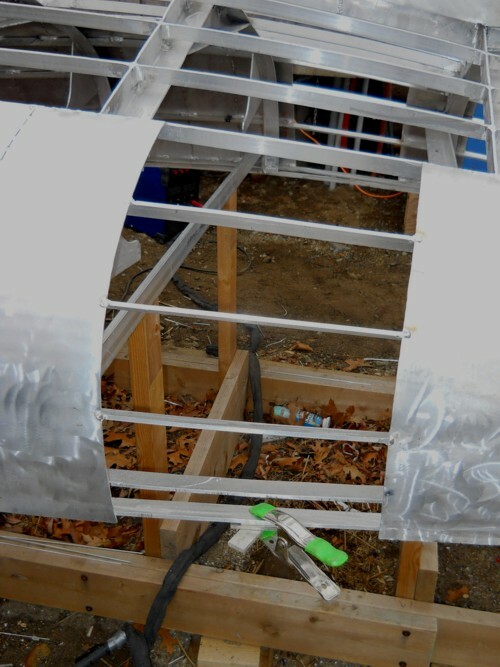 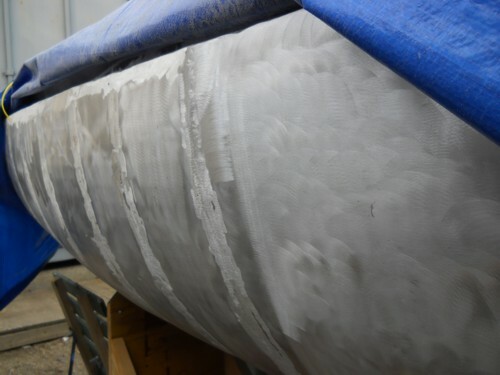 This method will removes cumulative error factor that would be present if we plated the hull bow to stern, for example. 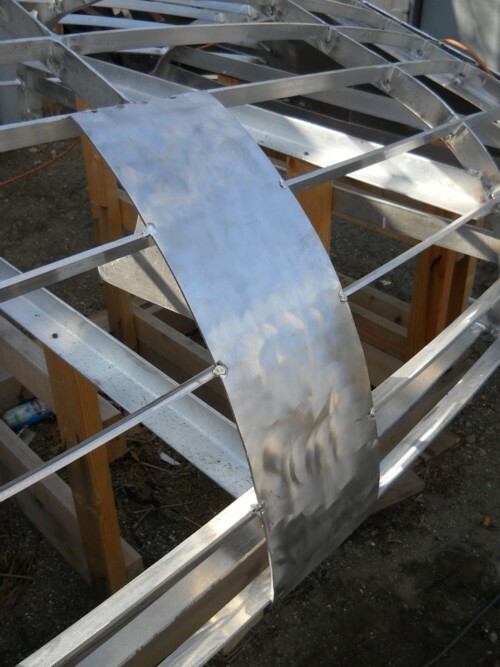 The bottom shell plating for the Bezier 12.5 is a developable surface. 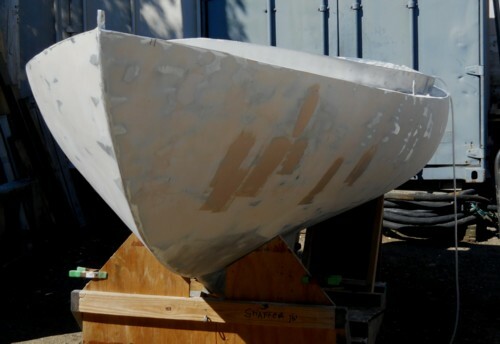 The plating process used on the 12.5 would also apply to a single or double hard chine boat. 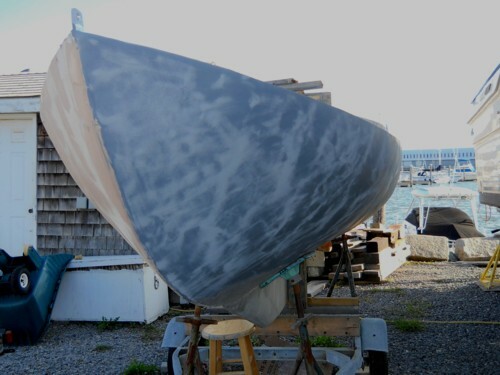 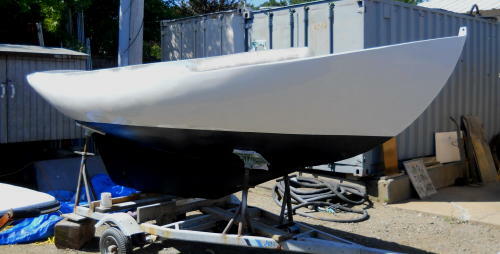 Do to the accuracy of Bezier Chine fabrication method only a skim coat of fairing compound is required to bring the hull to a pristine fiberglass finish.